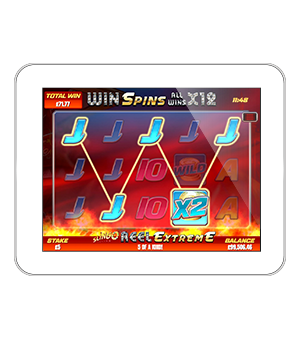 Slingo Reel Extreme combines the excitement of Slingo Reel Riches along with the intense heat from Slingo Extreme. 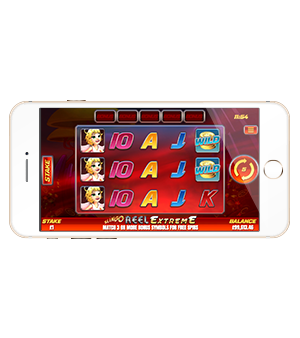 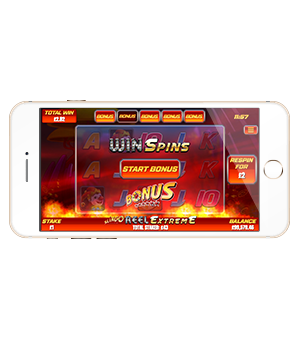 An amazing blend of unique and exciting features are to be discovered in this red-hot slot. 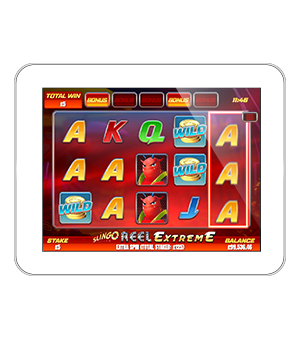 Experience something new with the addition of linked games to keep the reels winning. 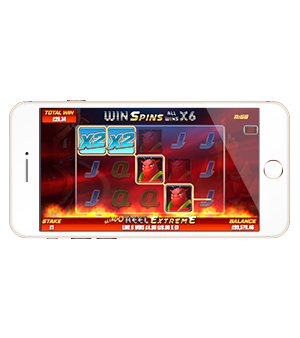 LINKED GAMES: Five linked spins of the reels mean that any bonus symbols you collect throughout your game will carry over until your five spins come to an end. 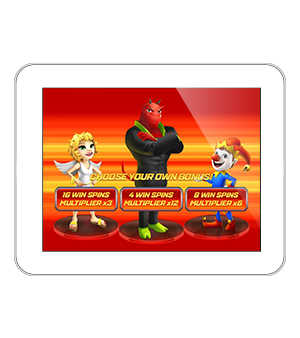 PLAYER SELECTED WIN SPINS: control the volatility of your own bonuses!